ENTER SHADOW WING! THE EMPIRE’S SALVATION! THE REBELLION’S DOOM! As the war against the REBELLION stretches on, it is the innocent people of the GALACTIC EMPIRE who are most at risk. 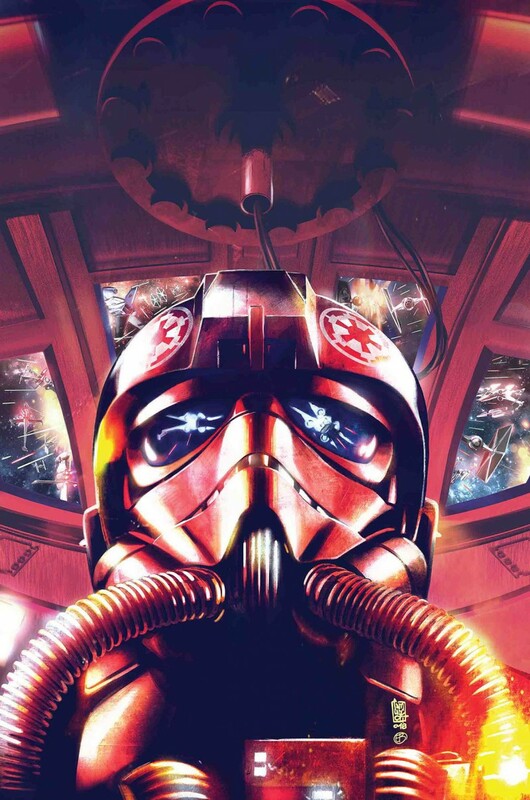 An elite squadron of TIE fighter pilots is assembled to help protect Imperial interests and hammer the Emperor’s fury down upon the treasonous and violent Rebel Alliance. But how far is this untested team willing to go to preserve law and order? And are the pilots of SHADOW WING as loyal to the Empire as they seem? This April, JODY HOUSER (THRAWN, AGE OF REPUBLIC) and ROGE ANTONIO’s (X-MEN RED) TIE fighter tale chronicles the struggles and triumphs of the heroes of the Empire in the last days of civil war - but what about the heroes of the Rebellion? Be sure to pick up the first book of TIE FIGHTER’s sister novel series, STAR WARS: ALPHABET SQUAD by Alexander Freed.